It's getting on for midnight, so here we go with a new Magic Monday. 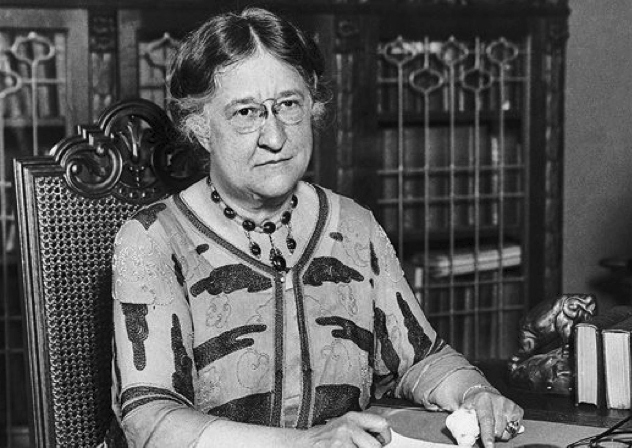 The picture is of Evangeline Adams, whose celebrated court case victory made it legal to practice astrology in the US. Among her clients was the immensely rich J. Pierpont Morgan, who is reputed to have said, "Millionaires don't use astrology, but billionaires do." Ask me anything about occultism and I'll do my best to answer it. Any question received by midnight Monday Eastern time will get an answer, though it may be Tuesday sometime before I get to them all. If you're in a hurry, or suspect you may be the 154,995th person to ask a question, please check out the very rough version 1.0 of The Magic Monday FAQ here.